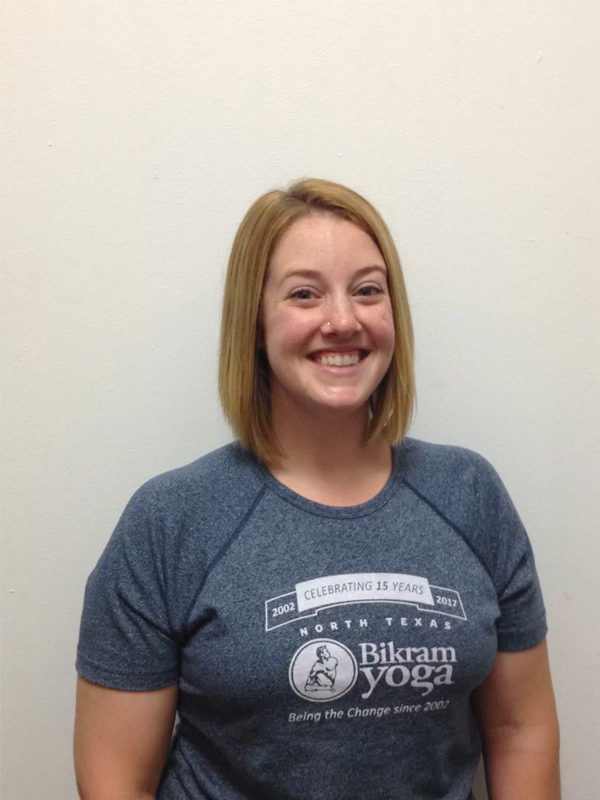 Hello my name is Cali and I’m a member of the Front Desk Team at BYNT in Arlington. I was first introduced to Bikram Yoga about 3 years ago. I started suffering from sciatic nerve pain from continuously sitting all day at a previous office job. A close friend recommended that I try Bikram Yoga. After I took my first class I was hooked! I felt stronger, more relaxed and my mood was uplifted. At that moment I knew it was something I needed to continue practicing long term. I am so happy to be part of the BYNT community and look forward to seeing students at the front desk or practicing in the yoga room.